where are the colours of the past and the great designs and prints of the 80's and 90's??..? Cool T-shirts have moved to cool t-shirt special shops, and some music shops, and special vintage style places - one just opened in our local strip with all 50s stuff. The T-shirt shops are in all big cities and big malls like Chadstone has some beauties, I get DJ & music ones there they have a sale every January. Maybe you could start a t-shirt shop and hire oompa loompas to run it? At sites like these, you can actually get ANY kind of T-shirt you want - if they don't have what you want, you can design your own. Amazing T's - more than ever before are available online. And - go to a market, you can find designer and interesting T's at markets. people stopping to check their phone before a pedestrian crossing. the internet seems to consider my name to be bad spelling! At locales like these, you can really get ANY sort of T-shirt you need - on the off chance that they don't have what you need, you can outline your own. Stunning T's - like never before are accessible on the web. wait. a bot wouldn't know that they were a bot. unless they were some kind of bot from the future designed to be self aware! Who would make a video like that?! Silly! 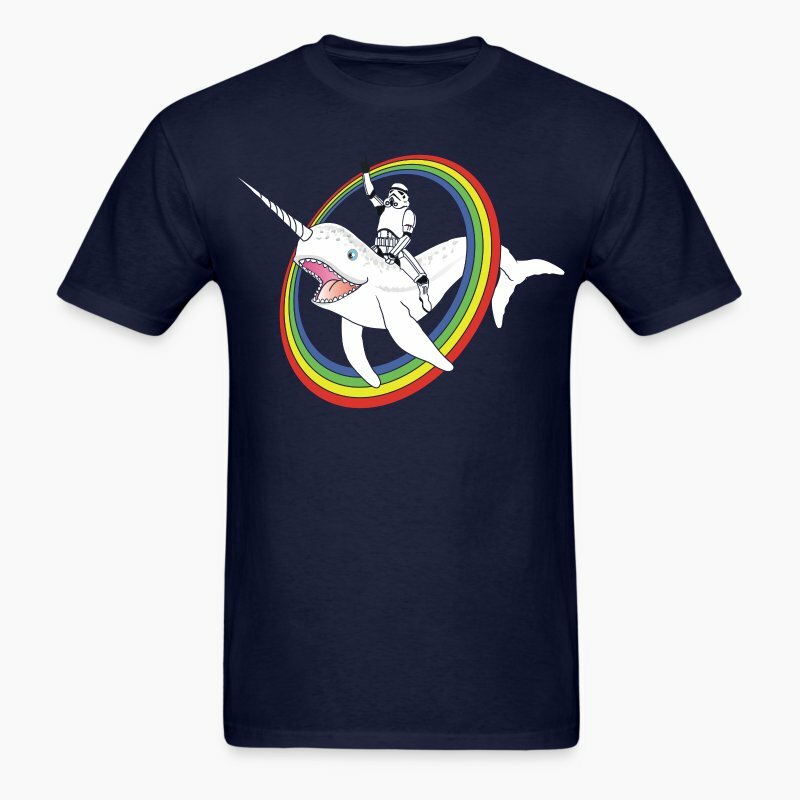 I do like 'Darth Vader rides unicorn-whale through circular Rainbow', that has some nice imagery! JETSTAR - they really did earn that worst airline in the world. And you have to type everything, phone operators are useless, they just hang up on you. People that don't take shopping trolleys back to the trolley bay. I was at a shopping centre the other day and saw a woman, who had parked next to a trolley bay, take her empty trolley and put it across to a car space opposite her. Who decided people looking after children under 4 needed degrees, and who decided that they were "educators"? You are babysitters. You are not there to educate 3 month olds, 8 month olds, or 3 year olds (there are kinda's for that) you are babysitters. Your beef is with whoever decided you needed to pay for courses or degrees in order to hold down a job that a bucket load of grandparents do for free, and that any teenager can and has done, (I've been one, a childcare worker I mean, and a teenager at the same time, been multi-tasking long time. ) and with whoever convinced you it was a step up from supermarket jobs. Yeah, I expect to get flamed, but seriously over the self importance people seem to have these days.